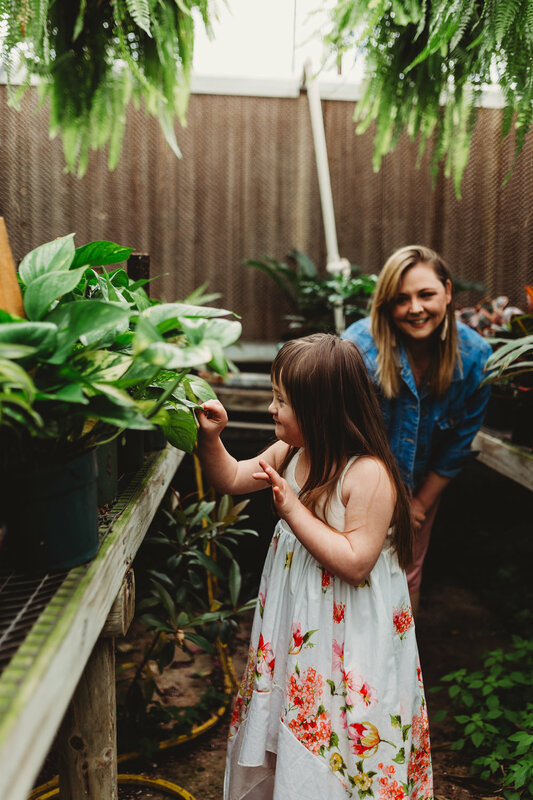 Eva’s mom, Rachel (you may know her, she is the founder of NWA Girl Gang and Marketing Director for NWA Fashion Week and an amazing force in this community), reached out to me about a photoshoot for sweet Eva for World Down Syndrome Day. I am a big fan of Eva. She took part in Femina, The Future, and is such a joy so I was very excited about this. I chose one of my favorite places, Matkins Flowers & Greenhouse where I knew Eva would have a great time looking at the beautiful flowers. This is one of my favorite shoots! I adore sweet Eva and the interactions between her and her mom are so dang sweet! Happy World Down Syndrome Day to all of you wonderful beings out there!